The Manchester Township Police Department is proud to announce that the 3rd Annual Elite Law Enforcement Fitness Challenge, held on Wednesday, June 7th, successfully raised over $6,000 for a local charity while offering an intensive physical competition for police officers. This team-based competition, held at Harry Wright Lake in Whiting, raised more than $6,300.00, which will benefit the Ocean of Love Charity and the not-for-profit Manchester Township Police Foundation. The officers were proud to work together and compete in grueling physical exercises, all for worthy causes. 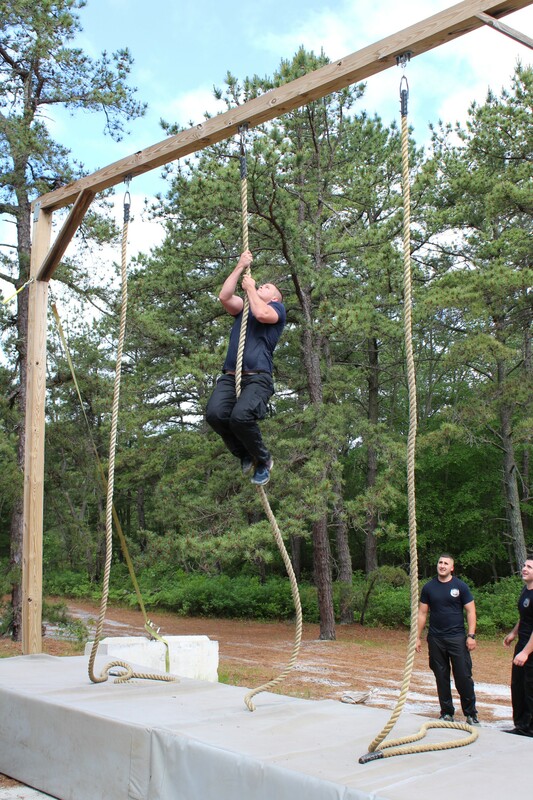 “This is one of the most challenging physical fitness competitions around for Law Enforcement. Officers must be in excellent physical condition to successfully complete this Elite Fitness Challenge. Police officers need to commit to maintaining a physical standard for their entire career regardless of their age, position, or rank and regardless of the agency they work for, as the nature of our job demands it. The officers that competed on Wednesday showed excellent perseverance, determination, and pushed their physical fitness abilities to their limits. Their respective departments should be proud of their accomplishment and sincere dedication to fitness.” Said Chief Lisa Parker. The Stafford Township Police Department earned the title of Fittest Police Department in this year’s competition. Coming in second place was Team A from the West Windsor Police Department, followed by West Windsor Team B which finished in third. A total of 15, four-man teams competed in this year’s competition. The competing teams were required to complete a host of exercises which included a team vehicle push, a team tire flip, a cell door drag, a bench obstacle, fence and rope climbs, a barrel roll, a farmers carry, clean and presses, an individual tire flip, a pole flip/carry, a sandbag carry, a dumbbell bear crawl, an atlas stone throw, a 200 yard swim, and a five mile trail run. Organizers Detective David Fusaro and Patrolman Charles Gatnarek of the Manchester Township Police Department are appreciative of everyone who participated and are looking forward to continuing this event and supporting various charities. 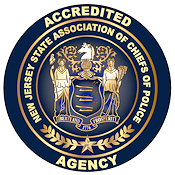 The Manchester Township Police would like to extend a special thank you to our Gold Sponsors: Termini Nutrition Center, Forked River and Bayville; RWJ Barnabas Health Medical Group, West Orange; Cardiology Consultants of Toms River; Thompson Healthcare and Sports Medicine, Toms River; A Simply Greener Side, Toms River; McWane Ductile, Phillipsburg; Ray Catena Auto Group, Toms River; and Lowes, Manchester.